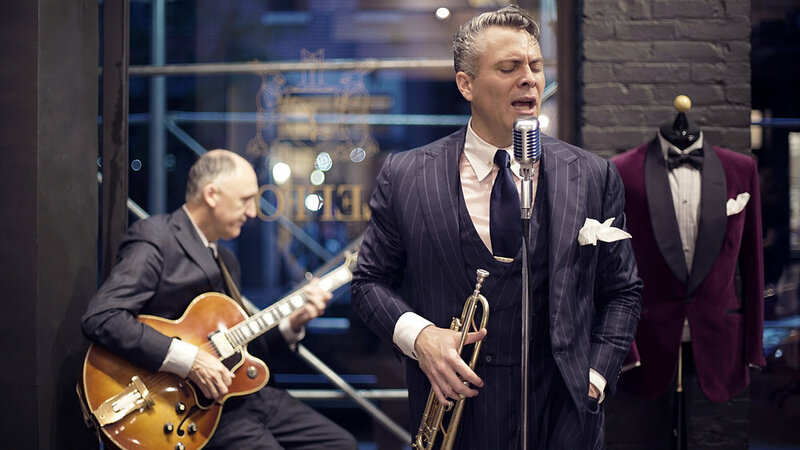 Alan’s expertise in helping clients select just the right cloth for their garments has always been one of the fundamental appeals of the Custom Shop. When conceiving each garment he draws upon an encyclopedic knowledge of pattern and weave and decades of clothing design and consulting experience, all of which has informed his unique taste and perspective. 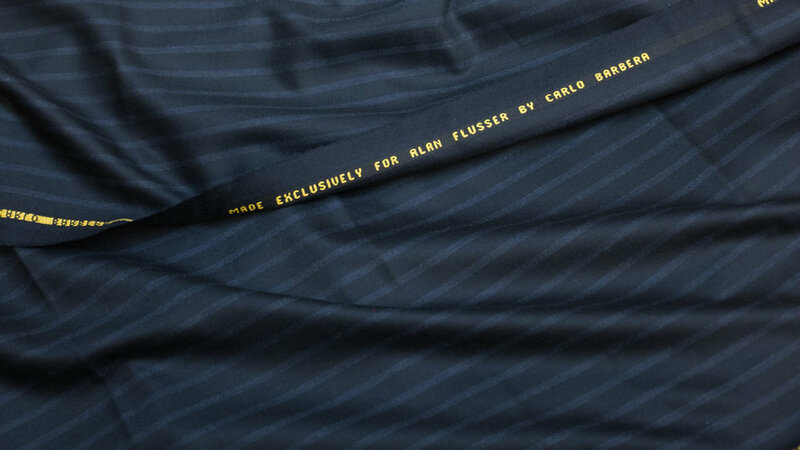 What many people don’t realize is that Alan has also applied this expertise to the very design of the cloth we like to offer as “the best of the best.” These are the Alan Flusser Exclusive fabrics, woven expressly for us from Alan’s own designs. It would have been a real education to be in the same room with Alan and the great Luciano Barbera at the renowned textile mill Carlo Barbera in Biella, Italy as they sat together devising cloths for our collection, sparing no expense in pursuit of the distinctive perfection both men are known for. Sadly, the partnership ended in 2010 with the sale of the mill, but we still have a small archive of these timeless cloths in a range of styles. One of the few limitations of our made-to-measure program is that we cannot offer it in certain more expensive cloths. As our remaining Flusser Exclusive stock has long since been paid for, however, we’re pleased to offer them this Fall as MTM options. We hope it’s a way to connect the youngest and fastest-growing segment of our clientele with our most rarefied old-world heritage. For those who prefer full custom, we’re offering a reduced price on these final lengths. Below are brief descriptions of the Flusser Exclusive suiting cloths we have available. Next week we’ll present the jacketings. If you’re interested in any of these cloths, we advise making an appointment soon. Some of these are down to the last few yards, and when they’re gone there will be no more. Triple Bead Stripe in Navy or Charcoal - This 9½ oz 120s worsted wool and cashmere is a classic Flusser power suiting, conjuring the elegance of the 1930s with a unique stripe pattern that’s assertive without being aggressive. The softly irregular variations in the stripes give them an unusual hand-woven effect with a subtle sense of movement. Available in classic charcoal with a matte finish, or rich navy blue with a bit of sheen. Smoke Grey Gabardine - Wool gabardine’s tight twill weave yields a rich, saturated color and a liquid hand that made it a postwar staple, when most men owned a gabardine suit or two for spring and fall, usually in navy and tan. 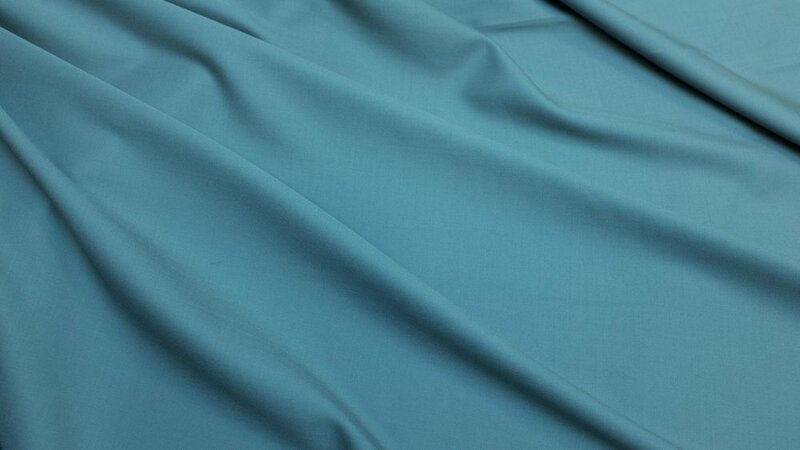 This particularly luxurious 9 oz, 160s gabardine has a 1930s-inspired shade is difficult to describe (smoke? putty? elephant? ), but it’s like no other grey you’ve ever seen, elemental and enriching. Navy with Mid-Blue Shadow Stripe - Perhaps the most avant garde of Alan’s exclusive cloths, this unusual 9½ oz suiting is at once striking and subtle. Its alternating bands of navy and mid-blue confer the energy, movement, and slimming qualities of bolder stripes with none of the flashiness. Not too stylish for a dignified CEO, not too dull for a confirmed clotheshorse. Grey Glen Plaid with Blue Overplaid - This 11oz 120s wool flannel makes for a darker, dressier, urban version of a classic glen plaid country suit in the most easily worn colors in any man’s wardrobe. The overall proportion of the elongated plaid pattern is ideal for most men, being neither overwhelmingly large nor mincingly small. Conceived as a suiting, it would also make a business-appropriate sportcoat.